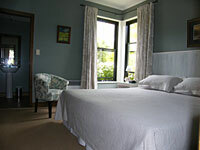 ITrek New Zealand has a range of accommodation available throughout New Zealand, and the South Island in particular. Why not spoil yourself with the ultimate in luxury, after your hiking trip? George and Mary have access to wonderful lodges with spa treatments and massages, for maximum indulgence. iTrek's main accommodation is in the superior range, and is selected for it's New Zealand flavour, personal attention, and excellent quality. Please discuss your unique requirements with George and Mary, who will meet your individual taste, and budget. 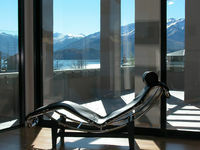 Arrival accommodation is usually in the guest wing of George and Mary's Lake Wanaka home. 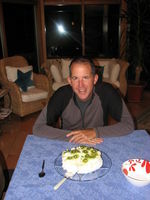 While this facilitates your tour briefing, it also allows guests time to relax, become accustomed to the time difference, get to know your hosts, and enjoy a typical New Zealand meal together. Lake Wanaka. The perfect all season-destination, with skiing in winter, hiking and water activities in summer. iTrek offers a range of accommodation to suit all preferences. Contact George to discuss your individual requirments. 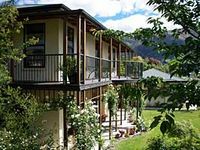 Wyndham Vacations Resorts Wanaka is set on a tree-lined avenue offering comfortable but refined accommodation, only a short stroll from the lake shore. 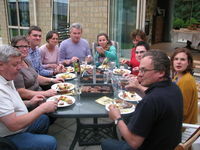 A swimming pool, spa, gym and barbeque can all be found on site. You are also near George & Mary's home. 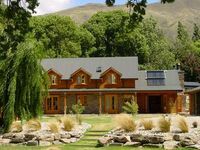 Wanaka Homestead Lodge - Just 200 metres from the lakeshore, the homestead provides informal luxury with a "ski-lodge" feel, or apartments with warmth & character. iTrek's base is only a short distance away. 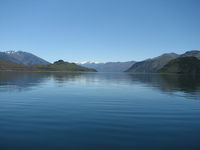 Lake Wanaka's most environmentally friendly accommodation was once the site of the original farm homestead in this region. Renmore House offers Bed & Breakfast accommodation in a quiet exclusive cul-de-sac, only metres from the lake front, with its cafes, bars, shops & art galleries. You can enjoy panoramic views, or relax in the privacy of the garden beside spring-fed Bullock Creek. Renmore's hospitality & welcome is second to none. 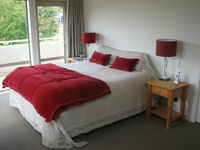 Tiritiri Lodge offers luxury boutique accommodation. Architechurally designed to maximise the views from each room, the lodge has ever-changing visas of the lake and the spectacular Southern Alps. Why not spoil yourself at least once in the scenic South Island? 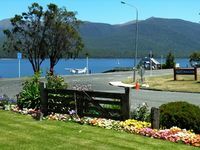 The gateway to Fiordland World Heritage National Park, Te Anau is an outdoor paradise. The lodge is situated on the lakefront, and ideally located between the town centre and the Department of Conservation Information Centre. 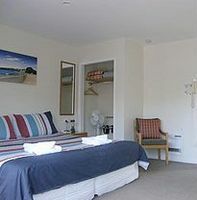 It offers a good standard of accommodation, and friendly helpful service. Situated just 5 minutes walk from the heart of Queenstown, Garden Court Suites & Apartments offers superior accommodation with great value for money, and personal service. This town is set around a popular hot spring which was discovered in the late 19th century. The springs were produced by the fractured rockbed along the Hanmer Fault. This self-contained good quality accommodation is situated in the village, surrounded by shops, restaurants & bars. It is a 2 minute walk to the Hanmer Springs pools and spa. This 5 star luxury accommodation is located central to the town & the hot springs. It is a wonderful place to relax & unwind, with spacious rooms, quality fittings & excellent service. Well known as New Zealand's capital of country music, Gore is also world-renowed for it's brown trout fishing. In folklore it is the home of Hokonui Moonshine whiskey, and is also the centre of a highly productive farming area. Situated just metres away from the town centre, Riverlea Motel offers a good standard of accommodation in its self-contained units. Christchurch is New Zealand's second largest city, and the gateway to the South Island. Bordered by the Port hills and the Pacific Ocean Christchurch is situated on the edge of the Canterbury Plains. While the retail centre has been devestated by recent earthquakes, quality accommodation is still readily available. 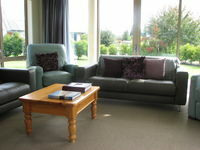 306 on Riccarton offers both affordable luxury, and warm friendly service. 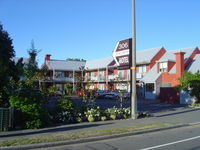 This motel is located only minutes away from the city, university and Hagley Park. 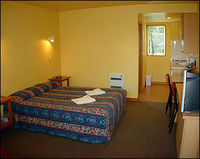 Affordable accommodation that will suit an array of travellers, from international visitors to Kiwi families and couples. Hugged by mountains and surrounded by native bush and bird life, the lodge is the perfect place to relax.